We had the great pleasure to enjoy one unforgettable day in this nice city of Beijing with Alice. She made this so expected tour absolutely lovely and interesting. Alice was before 5 AM at the Hotel where we start a busy and interesting day. She was not only very professional, but she is also a very nice lady, with a lot of knowledge and talking very care about us. We want to thank you sending us Alice and pls pass our regards to her. TOUR GUIDE RESPONSE: Dear Rene and Jacky, thank you so much for your valuable reviews. I have an unforgettable time with you too. Please keep happy everyday. I miss you and have a wonderful day! This tour was amazing, Alice treated us like family. We became very close, she and her driver Jason never stopped...Words cannot explain the experiences we had with her..it was very special. We REALLY hated to say 'Goodbye'...Alice is THE guide to use in Beijing...you will Love her..as we do! TOUR GUIDE RESPONSE: Dear Simon. Thank you thank you very much for your wonderful reviews. We have a lot of unforgettable memories in these days. When I miss you I will see your reviews again. You, Grace, Sarah and Mini in my heart forever. Best wishes to your family. Alice was a wonderful guide. She was very friendly and easy going yet considerate of our needs. She made the tour of Tianman Square and the Great Wall very interesting and was always approachable for questions and a chat about the sights. She also provided us with great suggestions for food and other attractions in Beijing. Highly recommend a tour with Alice in Beijing! TOUR GUIDE RESPONSE: Dear Joshua, thank you very much for your valuable reviews. Thank you very much all of you enjoy the tour with me. I hope you and your handsome friends happy everyday just like when we have the tour. I'm looking forward to meet you in the future. Alice was amazing! She is very knowledgeable and I learned so much history from her tour! She is also very attentive. Would definitely recommend her! TOUR GUIDE RESPONSE: Dear Sarah, thank you very much for your valuable reviews. 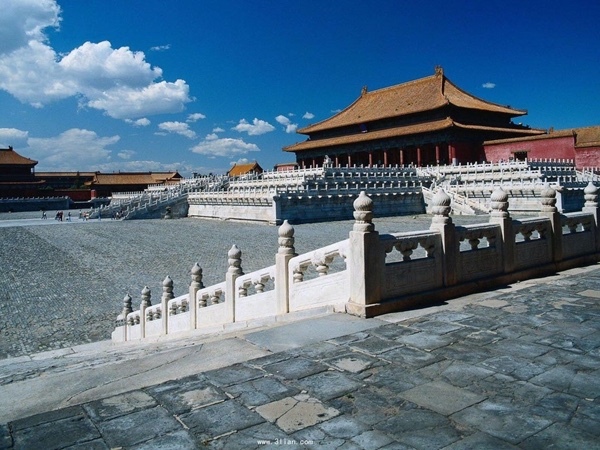 I hope you enjoy this Forbidden City tour with me and happy very day. I highly recommend booking Alice to anyone visiting Beijing. I booked a tour with Alice for my parents and they were very very pleased with the tour and overall service. I also communicated with Alice prior the trip and she was very responsive, helpful and most of all kind! I was nervous sending my parents alone to Beijing but after speaking to Alice I felt so much more comfortable. Thanks Alice! Alice was a wonderful tour guide. She was incredibly friendly, knowledgeable, fun (with a great personality) and accommodating to unexpected changes in our schedule. We had delays at the airport and she adjusted to meet us at a different location to save us time for our tour. She took us to the big sites, but also to "local" areas where we got a better feel for normal life in Beijing. We were lucky that she was our guide. I strongly recommend Alice for any group. TOUR GUIDE RESPONSE: Dear Natasha, Thanks again that you choose the tour from me. I feel to happy to meet your family in Beijing. Have a wonderful trip in the next days! TOUR GUIDE RESPONSE: Dear Cee Cee, thank you so much for your sweet words. I will never forget you and your lovely friends. I miss all of you. Please enjoy your trip in next counties. Happy New Year!!! Dahong was our enthusiastic guide for the day... very patient with our 3 young boys... great information about all things Beijing. Highly recommended. TOUR GUIDE RESPONSE: Dear Harold, thank you so much for your valuable reviews and thanks again for your family enjoyed the trip with me.Merry Christmas! Alice was the perfect guide for our two day tour in Beijing. She is kind, helpful and informative, showing a great passion for Chinese history and culture. She is also extremely considerate and went out of her way to accommodate all of our requests, especially with my daughter's peanut allergy. She was always punctual and patient. Finally, her driver Mr Lu was also very skillful and friendly. Overall we highly recommend Alice and we all had an amazing time! We will miss Alice's company. Alice is a superb tour guide. She is knowledgeable, professional, and flexible. She was also very sweet and patient with all my 200+ questions. I've done a few tours with ToursbyLocals and she's been the best, even if others have been great too. TOUR GUIDE RESPONSE: Dear Ismael, thank you so much for your valuable reviews. I feel so happy to meet you in Beijing and it is a great pleasure for me to become your local tour guide. I sincerely wish you happy everyday and have successful career. It was just wonderful! My parents and I had a most enjoyable 2 days with Alice as she took us to see the bigs sights of Beijing. She was most patient, sincere and very knowledgeable about the places of interest. What was impeccable was her service. Above her duty, she recommended places to eat, made reservations and escorted us personally to the dinner venue at the end of the day. She catered to my parents, in their sixties, and was caring to their needs. We could not ask for more! Thank you Alice! TOUR GUIDE RESPONSE: Dear Elaine, thank you so much for tour valuable reviews. I'm so happy to meet you in my life. I sincerely wish you happy everyday, have a successful career,uncle and aunty keep good health. I hope you can come back to China again. Alice is absolutely wonderful. She is intelligent, knowledgable and has an upbeat personality. We had a great time with her, she knows her way around and made our last day in Beijing a wonderful time! Her English is great and she is well informed not only about China but also about the world. TOUR GUIDE RESPONSE: Thank you so much dear friend that you choose the tour from me. I'm so happy to meet you in Beijing.To wish you joyful at this holy season. Wishing all the happiness will be always with you. I have done many family vacations at various countries but I have never come across such a great service by Alice and the driver. Alice is such a wonderful and excellent tour guide. She is very patience and enthusiastic, we could never ask for more. We thoroughly enjoyed her friendliness during the ride. We learned a lot about China history and she also led us to delicious lunch at local restaurant. My daughter adore her so much. I will definitely recommend Alice my friends who want to travel to China. We booked a 2 day tour (family of 4) with Alice. She was great from the start, very helpful and insightful with all the sights. The itinerary covers the main Beijing sights, the kids loved the Great Wall especially with the rides going up and then down. Alice was a wonderful guide. Definitely recommend. TOUR GUIDE RESPONSE: Dear friend Son, thank you so much to book the tour from me. I really enjoy the time with your family and lovely kids.I hope you can come back to China again to go to Xi'an and Watertown. God bless you and your family, with the best of health and happiness. Alice is an excellent tour guide. Extremely helpful and caring. Amazing knowledge about historical facts and local trivia. Thoroughly enjoyed ourselves. Would definitely recommend her. TOUR GUIDE RESPONSE: Dear Mr.Zhang, thank you so much that you like the tour from me. I'm so happy to meet you and your family members in Beijing. God bless you and your family, with the best of health and happiness. Alice was a very enthusiastic, helpful guide. She was knowledgeable and solicitous, thoughtful and polite. She was terrific!! TOUR GUIDE RESPONSE: Dear Patricia, I'm very happy to meet you and your friend in autumn in Beijing. I have unforgettable time with you. Thanks again that you choose the tour with me. God bless you, with the best of health and happiness. TOUR GUIDE RESPONSE: Thank you so much dear Patricia, have a wonderful day! Alice is unforgettable tour guide . Very pleasant professional, knowledgable. We enjoyed every moment being with her . I'll recommend everyone to choose Alice as a tour guide . TOUR GUIDE RESPONSE: Thank so much dear Harry that you enjoy the trip with me.You're so nice and friendly and I have unforgettable time with you too. Please be happy everyday! Alice was a fabulous tour guide. She communicated with me before the tour, including coordinating where we would meet (my hotel lobby). We only had 4-5 hours for a quick evening tour, but she provided excellent service and offered great commentary on what we were seeing. Her knowledge of Chinese history and key landmarks added to the richness of the experience. Our plan was to stop for dinner at a local restaurant and the one she selected was perfect. I highly recommend Alice and Tours by Locals. TOUR GUIDE RESPONSE: Hello my dear Yvonne, thank you so much to enjoy the tour with me. I hope you have a wonderful future and happy everyday! Alice was a great guide with with good knowledge of the place we visited. The arrengements for the transport and lunch was seamless. She was really polite and courteous and even allowed a quick stop for us to get fruits as we had requested. I highly recommend her! TOUR GUIDE RESPONSE: Dear Margaret,thank you so much that you enjoy the trip with me. Happy Mid-Autumn Festival! TOUR GUIDE RESPONSE: Dear Mr.Lee, I'm so happy to meet you in China. Thank you so much to choose the tour from me on website. I had a wonderful time with you too. I hope you will be happy everyday! Good luck to you and your family. Alice was not the original guide I booked, but spending the day with her was a joy. She was so helpful and knowledgeable. The village is a long way from Beijing and I'm not sure it's really worth 2,5 hours in the car each way, but it was made great by the guide. 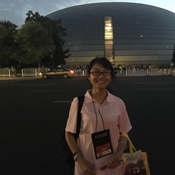 TOUR GUIDE RESPONSE: Thank you so much dear Leslie, I hope you have a pleasant journey in next cities in China and enjoy your trip in next month. Alice was a fantastic guide. She spoke great English and knew many facts about Beijing and China. She was very helpful and also helped us to find a nice place for lunch. Would definitely recommend! TOUR GUIDE RESPONSE: Thank you so much James, I hope these days you have a great time in Beijing and try more local Chinese food. I'm looking forward one day you with Jade come back to Beijing again. Best wishes! Alice provided us with a very good tour of the Great Wall and Summer Palace. She is very knowledgeable and provided a significant amount of background while we were driving out to the various stops and picked a very good restaurant for lunch. She is a very kind and caring person that clearly cares about her clients. She was also very accommodating and even dropped us off at restaurant we requested that was pretty far out of the way and provided instructions for our way back. Thank you Alice! TOUR GUIDE RESPONSE: Dear Mark, Thank you so much for your highly recommendation and I'm so happy to hear that you enjoy the tour with me. Have a wonderful day! All best wishes to your family. Alice was always very thoughtful and would try her best to meet all our needs. She also brought us to good local restaurants instead of the pricey and touristy ones. Alice is warm and amiable. She helped us buy tickets even though we didn't hire her services for that day. Throughout her time with us, she displayed utmost care and concern for the elderly in my family and chatted with everyone. We are most impressed by her professionalism too. TOUR GUIDE RESPONSE: Dear Lian yan sister, Thank you so much for your highly recommendation. I have a happy time with grandma, grandpa and all your family members in this trip. I'm very happy to become your tour guide in these days. Happy Dragon Boat Festival! All best wishes to you! Alice did a wonderful job of making my day a memorable one. She was knowledgeable, handled logistics perfectly, from tickets to positions for the best photos. I could not have asked for a sweeter, better guide - Alice took care of everything!! This was my first tour with TBL and I will definitely book with them again. Alice was a wonderful and very knowledgeable guide and I would highly recommend her. She ensured that I enjoyed the local food, was comfortable at all times and that I saw everything that I wanted to. Travelling to Beijing on my own she was a fantastic companion for the time I was there and I hope to keep in touch in the future. TOUR GUIDE RESPONSE: Thank you so much dear Matt! Welcome you go back to China again. All best wishes from Alice. Alice is a great tour guide! We did the 2 day tour with her and she took us around and told us everything we wanted to know about the tour! She is very knowledgeable and was very helpful with every question we had. She even helped us out when we needed to buy train tickets. I would definitely recommend her to anyone! Thanks Alice!! TOUR GUIDE RESPONSE: Thanks Dear Khang, thank you so much to choose the tour from me. Please say hello to your lovely friens. I wish all of you to be handsome forever!! TOUR GUIDE RESPONSE: Dear Mark, Thank you very much! Wish you happy everyday! We had a tour on Beijing. We had a great experience from the beginning to the end. Great punctuality. Our tour guide Alice is a great person, she knows very good all the historic places. Also she gave us info for the rest of our trip. I recommend this web site and also out tour guide Alice. TOUR GUIDE RESPONSE: Dear Raquel, Thank you so much for your valuable reviews. I'm so happy to meet you and your friends in Beijing. Please give my best regards to them and I miss all of you! What a wonderful tour! Alice showed us The Great Wall of China and all the sites of Beijing. She picked a wonderful restaurant for us to have dinner in. Thanks again! Very knowledgeable guide that made the half day tour interesting and informative. Thanks so much. TOUR GUIDE RESPONSE: Thank you so much dear Wayne, I had a very happy time with you too. Welcome to China again! I could not have had a nicer afternoon with Alice in Beijing. She arrived promptly to meet me at my hotel and was extremely knowledgable in our tour of the Forbidden City and the Hutongs. Tours can be dry, no matter how informative, but her positive attitude and upbeat personality made discovering a new culture all the more thrilling. Exploring Beijing with her was like traveling with a very well-informed friend. I would highly recommend her to others. I could not recommend Alice any more highly. 5 stars is not enough. Her knowledge of the places we visited and their history was fantastic. She was very flexible and understanding that we would sometimes need to be slow. She is such a friendly young lady that by the end of the 2 days it was like she was part of the family. She is extremely personable. She enabled us to see far more and learn far more about Beijing than otherwise possible. Book her NOW - you won't regret it. TOUR GUIDE RESPONSE: Hi dear Phil! Thank you so much that you enjoy the trip with me. I had an unforgettable time with your family as well. It's my lucky to meet your family in China.I really hope one day to meet you and Lucus in the future. All best wishes to your family. !!! Alice has provided extensive insights with local and historical knowledge during the tour and we have learned a lot from her. She was very attentive and we had a very pleasant experience. Also, the ride was very comfortable and our driver Mr Zhao was very professional. TOUR GUIDE RESPONSE: Hello Sunny! Thank you so much to choose the tour from me. I really very happy to meet your family in Beijing. Happy New Year ! "Gong Xi Fa Cai, Haha~"
An amazing experience thanks to Alice! Timely, professional and exceptionally knowledgeable, she made our time in Beijing a memorable one. She was very flexible in terms of what we did and where we went, tailoring the entire experience for us. Highly recommended! TOUR GUIDE RESPONSE: Thank you so much dear Renee, all best wishes to you! Thank you Alice for such a wonderful day! My family and I enjoyed our lovely day together at the Great Wall and Summer Palace! It wouldn't have been the same without you. You were very informative and we learned so much history from you. My daughter was sad to leave you at the end of the day. I would highly recommend you to everybody. We hope to see you again soon. We will stay in touch! Thank you again for everything! TOUR GUIDE RESPONSE: Thank you so much dear Ashley! All best wishes to you! Alice was by far one of the best tour guides I have ever had. She was extremely knowledgable about the history of all of the places we visited and really made the most out of my one free day In Beijing. I enjoyed learning about the culture, eating the local food and seeing the sights. Alice made sure everything was timed perfectly and we had a great day. Alice is charming. And knows a lot of history and context for understanding what we visited. She made things very interactive, to help ensure that I understood what we were seeing and how the history unfolded. Thank you, Alice! TOUR GUIDE RESPONSE: Hi dear Loren, I really miss you so much! I'm so happy to meet you in Beijing, China. Today you will go to Shenzhen city! Have a nice trip in Shenzhen! Thanks again to choose this trip with me !